On October 25, 2013, AmCham South China and Guangzhou FESCO jointly sponsored a seminar by Guangzhou Municipal Public Security Bureau (PSB) Division of Exit and Entry Administration. The officer explained what the PSB is doing to implement China’s new Exit-Entry Administration Law and regulations. Visas (签证): PSB can issue “extension” visas to allow a longer duration of stay than granted previously granted, and can issue “replacement” visas that additionally allow changing the purpose of stay and/or authorize additional entries to China. Visas will be issued for a maximum duration of 180 days stay in China. Residence Permits (居留证件): The PSB can issue residence permits to persons seeking to reside in China for over 180 days (or over 90 days in the case of persons residing for work). Once issued, a residence permit can be used to enter China instead of a visa. While the law allows PSB up to 15 working days to adjudicate residence permits, the Guangzhou PSB has been working and trying to issue resident permits within 7 working days as long as the application is complete. Stay Certificates (停留证件): Stay certificates may be issued, for example, to persons whose residence permits have been cancelled who wish to remain in China for up to 30 additional days as a “grace period” to travel wrap up their affairs in China. Guangzhou PSB has implemented an online system for visa pre-application and visa inquires. 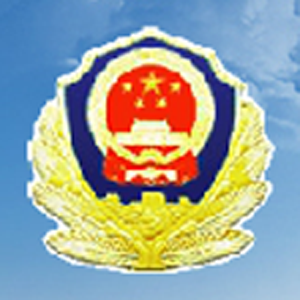 See http://www.gzjd.gov.cn/ELSPafv/. It is recommended that companies that need to apply for visas and certificates for foreigners shall register online in advance. Sponsoring companies with “good reputations” using this system may even be able to receive their employees or visitors’ residence permits and visas within 5 working days. The officer also addressed accommodation for persons staying in places other than hotels: Upon entry to China, visa holders must not staying at hotels must report their accommodation to the local police station within 24 hours. In contrast, residence permit holders need not report following each entry. But both visa and residence permit holders must report within 24 hours of either changing their accommodations or getting a new exit-entry document from PSB. For more, see China: Foreign Nationals Must Register at the Local Police Station within 24 Hours. Although the law calls for certain applicants to provide biometrics (e.g., fingerprints), the Guangzhou PSB has not yet begun collecting them. For more, see FAQ: China’s New Visa Law. Angel Yan is a graduate of Zhong Shan University with a Bachelor of Law degree. She also received an LL.M. degree from University of Florida. She is a member of the State Bar of New York. Next PostNext Yiwu: Population, 1.2 million. Naturalized citizens, 0.